Planning for natural disasters, such as hurricanes and earthquakes, forces us to focus on real foods, not fake foods. Nonperishable foods that will satisfy and nourish us and our loved ones, sometimes for seven days or longer. But what real foods should we buy that will strengthen us, not spoil, and yet not taste like over-priced sawdust or freeze-dried shoe leather? Beverages- Stock-up on bottled water. Two cases, maybe three. And how about extra for a neighbor? Also individual boxed fruit and veggie juices. 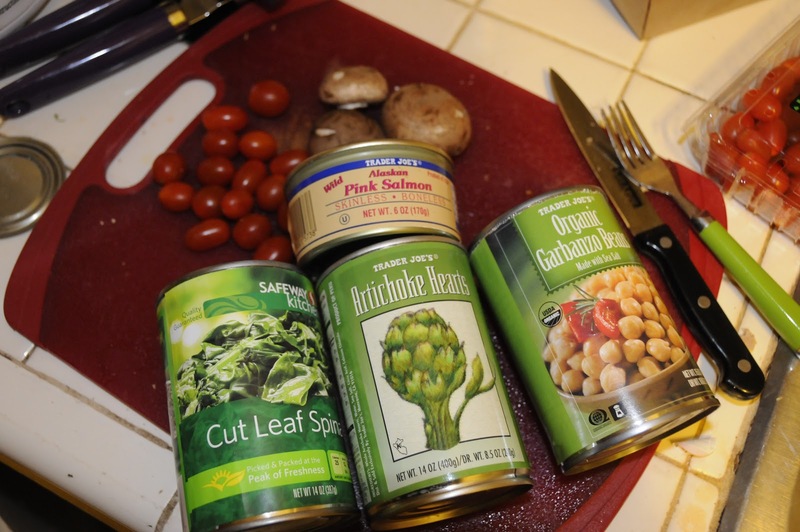 Canned beans - A terrific source of protein, fiber, other nutrients, and most don't taste half-bad. Think kidney, cannellini, garbanzo, and black beans. Caution: avoid salt-drenched pork-and-beans and chili beans in sauce. Salty foods induce extra thirst, creating an unpleasant cycle in confined conditions. Canned meats - Tuna in either oil or water. Other canned meats or fish, to taste, but most are highly processed and often ghastly. Peanut butter and jelly - Yummy anytime, but a real treat in power-free times. Enjoy on crackers, preferably low-salt. Buy jellies in smaller containers or those little restaurant servings. Canned fruits - In their own juices rather than heavy syrup. The healthier, the better. You'll feel better. Save sugar highs for an occasional candy bar. Canned veggies - Some aren't detestable. Look again at the market, and you'll see what I mean. Buy low-salt canned veggies for all times, not just for earthquakes and hurricanes. Nuts, granolas, and nut/granola bars - These are never detestable, but one can't live on semi-candy bars and high-carb granolas forever. Or even for seven days. But such goodies do make time go by faster. And nuts galore... high protein, good taste. What's not to like? Low-salt, though, or unsalted if you can bear it. 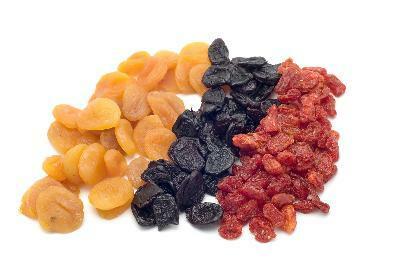 Dried fruits - Apricots, raisins, cranberries, banana chips, pineapple spears, mango slices. Take a stroll down Trader Joe's dried fruit aisle. But remember to save them for emergencies. Fresh fruits - Apples, oranges, tangerines, pomegranates, other delicious fruits unlikely to spoil after a week without refrigeration. Breads - Breadsticks, too. I'm not a believer in breads laden with preservatives. But shelf-life takes precedent over taste, texture, and aesthetics in emergency conditions. Others - Stock canned milk for those who require dairy on a daily basis, and pre-mixed formula for babies. Don't forget salt, pepper, sugars, cinnamon, and other spices and herbs. And yes, tuck-away surprise treats to bring smiles to sullen faces... jelly beans, M & Ms, favorite candy bars, and bags of kettle corn. Then again, you could simply store what a former boss of mine kept in his desk drawer should an earthquake have trapped him in our downtown Los Angeles high-rise for three days: a bottle of whiskey, a deck of cards, and poker chips.